(UPM Raflatac, Helsinki, 28 January 2019 at 11:00 EET) - UPM Raflatac will showcase its comprehensive range of security labeling solutions for pharmaceutical and healthcare packaging at the Pharmapack 2019 event in Paris, held on February 6-7, 2019. 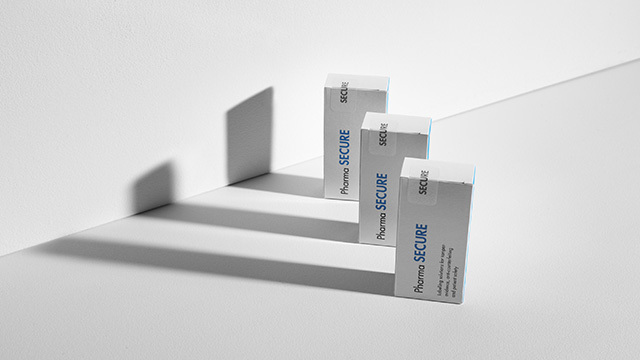 Among other solutions, the range includes a reliable new solution for presence verification of tamper-evident labels on cartons, offering 100% accuracy regardless of packaging color or design. The UPM Raflatac pharmaceutical security label materials are designed to improve patient safety through tamper-evident solutions, offering an easy route to achieving full compliance with the upcoming EU Falsified Medicines Directive (2011/62/EU) in time for the February 9, 2019 deadline. UPM Raflatac's solutions work with pharmaceutical adhesive RP62 EU to offer a range of tamper-verification safety features that lead to visible, irreversible damage or change to the packaging or label when removed: clear labels that tear cardboard packaging, void-effect labels that permanently reveal a hidden pattern or text, and fragile seal-label products that become irreversibly torn or broken. Visitors to Pharmapack can learn more about UPM Raflatac's solutions for pharmaceutical and healthcare labeling at stand D22 in hall 1.